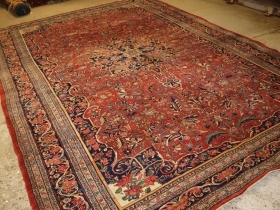 Antique Persian Faraghan village carpet of unusual design with superb colour. 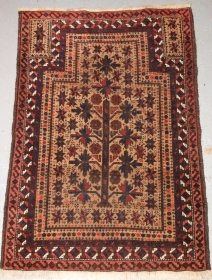 link 10ft 1in x 7ft 11in (308 x 242cm). 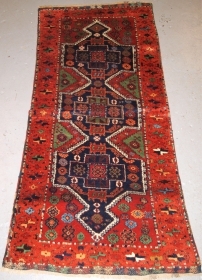 Antique Tekke Turkmen main carpet with 5 rows of 11 guls. 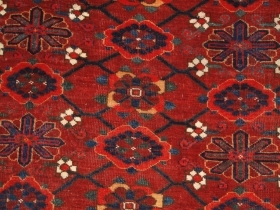 link 10ft 0in x 6ft 4in (304 x 193cm). 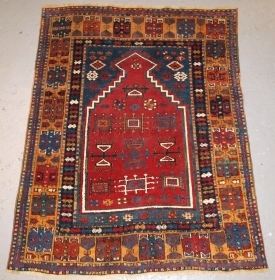 Antique South West Persian Qashqai tribal horse cover . 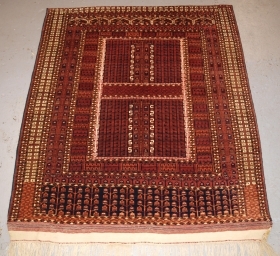 link 5ft 0inx 4ft 9in (153 x 145cm) excluding tassels. 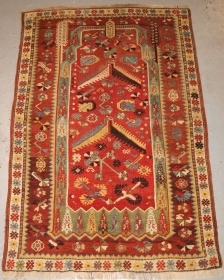 Antique Kurdish long rug with a repeat all over shrub design. 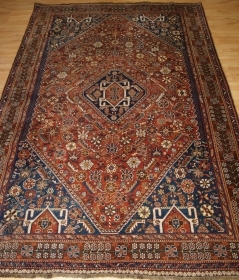 link 7ft 7in x 4ft 2in (230 x 127cm). 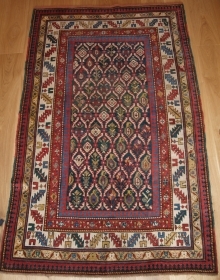 Antique Caucasian Kuba region rug with scarce design and very small size. 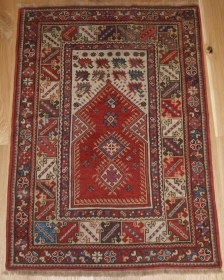 link 4ft 3in x 3ft 2in (130 x 97cm). 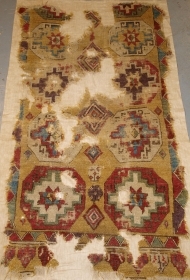 Antique Persian Afshar rug of 'vase' design on an ivory ground. 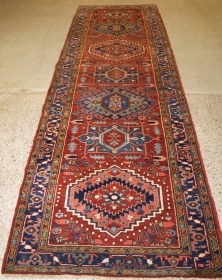 link 5ft 0in x 4ft 6in. 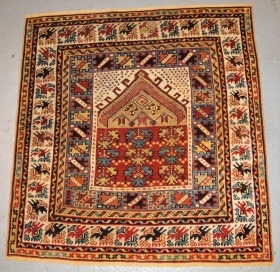 (153 x 137cm). 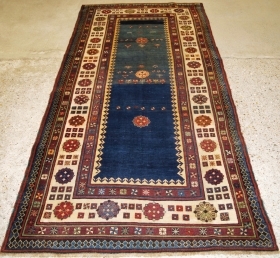 Antique Caucasian Long rug or runner with a repeat medallion design. 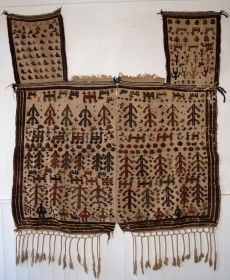 link 10ft 9in x 4ft 2in (328 x 128cm). 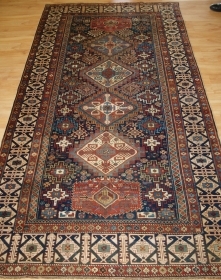 Antique Caucasian Kazak rug of five medallion design. 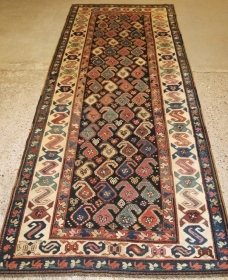 link 7ft 9in x 4ft 3in (235 x 130cm). 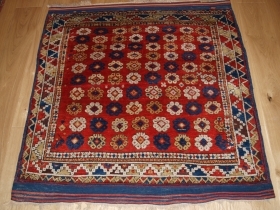 Antique Timuri Baluch main carpet of small size, superb colour and complete kilim ends. 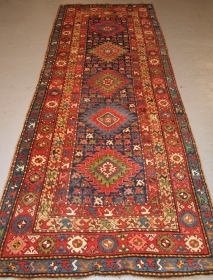 link 8ft 10in x 6ft 1in (270 x 185cm). 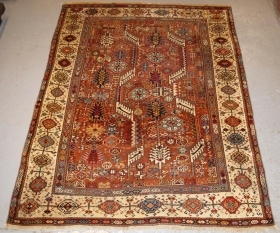 Antique Shekarlu Qashqai rug of classic design. 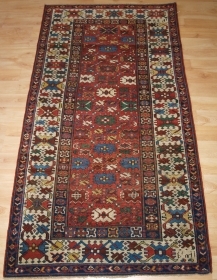 link 6ft 10in x 5ft 1in (209 x 156cm). 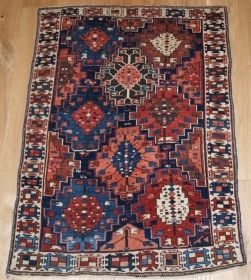 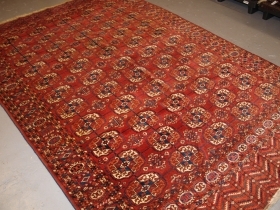 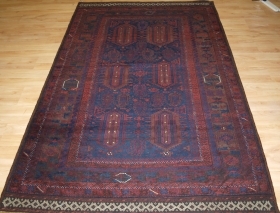 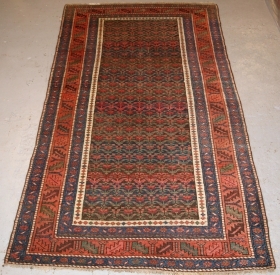 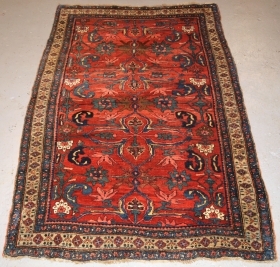 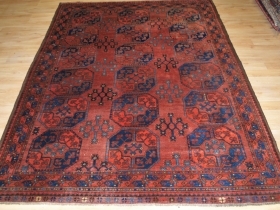 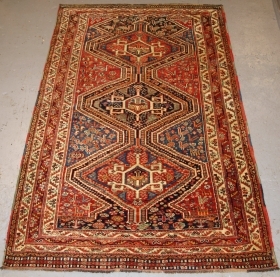 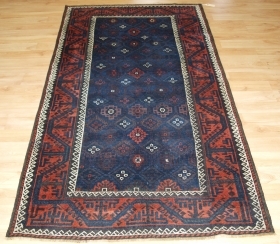 Antique Tribal Qashqai rug, triple linked medallion design with superb colour. 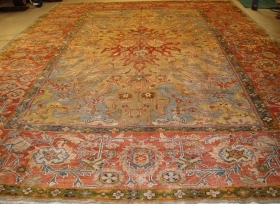 link 6ft 9in x 4ft 4in (206 x 133cm). 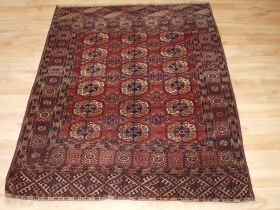 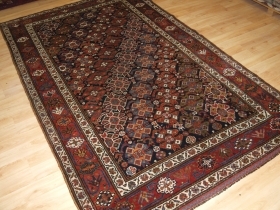 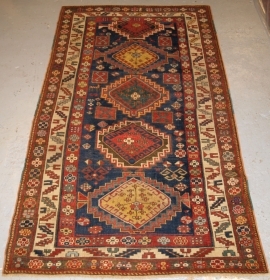 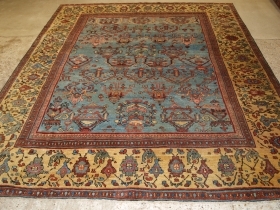 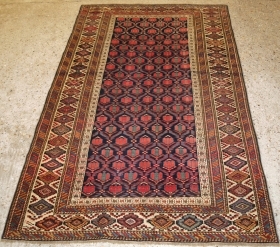 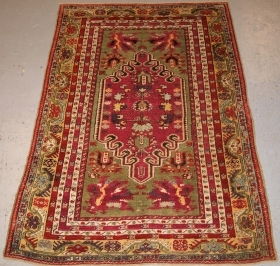 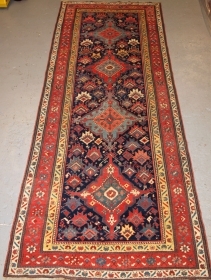 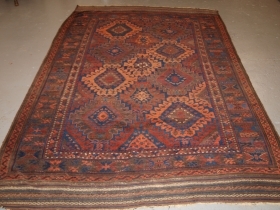 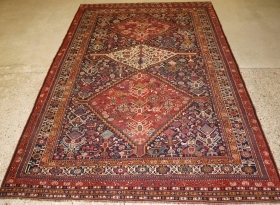 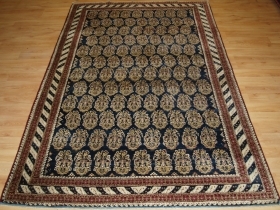 Antique South Caucasian runner with a repeat medallion design. 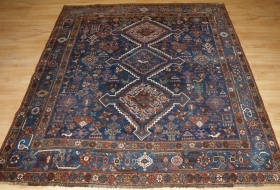 link 9ft 11in x 3ft 10in (301 x 116cm). 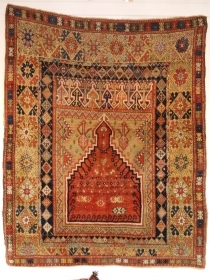 Antique Eastern Anatolian Kurdish Yuruk prayer rug. 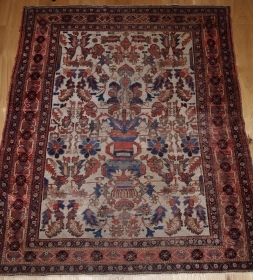 link half 19th century. 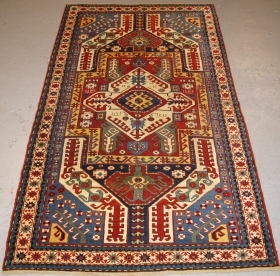 Size: 4ft 2in x 3ft 6in (128 x 107cm). 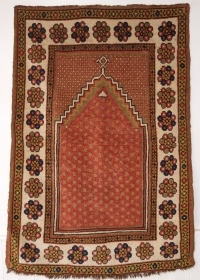 Antique Turkish Kozak village prayer rug of small size. 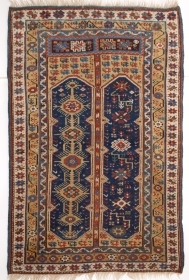 link half 19th century. 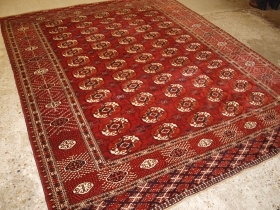 Size: 3ft 7in x 3ft 5in (110 x 103cm).